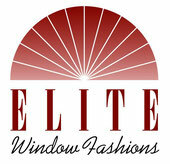 Welcome to Elite Window Fashions. The next generation of the Window Store and More. We can help you create your dream home environment with the full line of Hunter Douglas custom window coverings - and more! We'll help you select the most fitting and beautiful window coverings - from a wide variety of fabrics, colors, textures and styles, including The Alustra® Collection. Our distinctive service includes professional measuring, experienced installation and stylish design, all provided with a local flair since we're independently owned and operated. Elite Window Fashions has been serving our local area for over 25 years with great window coverings, great people, great service. We believe your window coverings should be an investment in your home and we strive to give you the best quality product available. 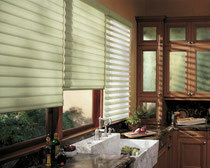 Our staff has over 60 years combined experience of measuring, installing and servicing your window treatment needs. We look forward to meeting you and hope you'll stop in to see our exclusive Alustra line, the ultimate in window covering luxury. Saturdays and evenings by appointment.